Well, here we are, almost half-way through December, and I’m finally getting the chance to share my 2017 Christmas Holiday Shelf! Better late than never, right?! This year, I had several large pieces I decided to use, instead of many smaller ones. I like the effect I ended up with! What do you think? So all in all, just five pieces that take up the entire shelf! Hi, everyone, and Happy Sunday! If you’re a regular around here, you know I don’t normally post on Sundays, but this is no ordinary post – It’s time for the Merry ThanksChristmas Recipe Contest! I’m so glad you’ve stopped by to check out what’s going on over here, and to ENTER A RECIPE in our contest! Oh, and remember: you MUST be a blogger to participate, but you can enter more than one recipe, since there are multiple categories for you to participate in! But wait! If you’re not a blogger, don’t despair! We also have a GIVEAWAY that you can enter! Aren’t we just full of wonderful surprises?! To get you in the mood, allow me to share one of my FAVORITE recipes for Thanksgiving and Christmas gatherings! How about some Loaded Sweet Potato Slices?! One of the things I love about this yummy recipe is that you can swing it sweet, or swing it savory – depending on what you use! Check out how I make mine by CLICKING HERE! A big Thank You! 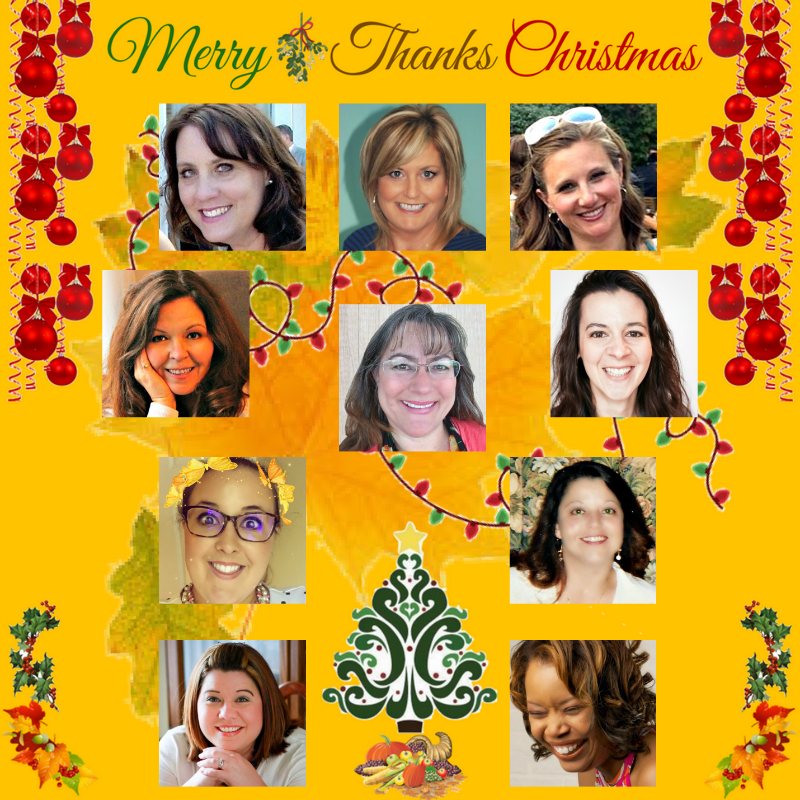 to the co-hosts for supporting the Merry ThanksChristmas Recipe Contest 2017, and making this event possible. Please check out their blogs and follow them on social media! Contest OPEN for Entries – October 15, 2017, through November 8, 2017. One recipe from each category will be selected as a Finalist. Finalists will be announced on November 10, 2017. Winners (1st place, 2nd place, 3rd place) will be announced November 15, 2017. All prizes paid USD via PayPal. No blog necessary to enter the Giveaway! ENTER the GIVEAWAY at the bottom of this post! Chance to WIN $100 USD PayPal CASH!!! Congratulations to the finalists! One recipe was chosen from each category. These recipes have the chance of winning the 1st, 2nd, or 3rd place prize! Good luck. The Winners will be announced on November 15, 2017. Look below to see all the recipes entered in the contest and be inspired for your holiday celebrating! Thanks for having fun with us at the Merry ThanksChristmas Recipe Contest 2017. It’s great to get everyone ready to celebrate the holidays with delectable food and drink. Happy Holidays! Okay, okay, calm down, calm down. I’m not “starting in on Christmas” already. Well, not really. But y’all know that here in Florida, it does NOT feel like Fall quite yet. Even though yesterday WAS the first day of Fall, the temperature on my back deck read 91 degrees, with a “feels-like” temperature of 95. I kid you not. Does that give you festive warm Fall fuzzies? Yeah, me neither. But there ARE things I do this time of the year to try and help it FEEL more like Fall in Florida. Fall foods. Fall scents. Fall decor. You’ll actually get to see lots of that here on the blog over the next few weeks. And all this “trying to make it feel like Fall” got me thinking. When it’s 70 degrees in Florida in December and we’re “trying to get it to feel like Christmas”, what on earth will we do then?! If you live in a warm-weather state like California, Arizona, Hawaii or Florida, you may gaze wistfully at your friends’ winter time photos on social media of their snow-covered lawns and their rosy-faced kids making snowmen. While you are eager to get into the holiday spirit, you find yourself wishing that the weather would magically cool off in Tucson or Tampa and that you could experience a true White Christmas. Fortunately, there are a number of ways that you can create a festive and chilly Christmas season — at least one that looks that way. As you might know, we are celebrating Baby’s First Christmas this year – times two! The twins will be just over four months old come Christmas, which kind of threw us for a loop. They won’t be too “into” it, and they definitely won’t remember it! What should we do to celebrate Christmas with them without going overboard? Our goal was to celebrate together as a family, to avoid wearing them out with too many events, and to not spend a boatload of money! Of course, living in our house everyone gets photos taken of them often. However, I’m talking about something a bit more formal. This year, we took the girls to see Santa and had some photos done that way. If you’d rather schedule a family photo shoot with a local photographer, that’s perfect, too! Choose to do something a bit more momentous to mark the season than just a selfie! Let’s take a post and look back on the top 5 posts from the month of December, why don’t we? The #Top5 Posts on #TheRoadtoDomestication in December! Of course, you’ll see a little bit of Christmas, but that’s to be expected. You’ll see some non-Christmas, as well! 1. 10 Ways to Stuff Your Christmas Ornaments! – Now is actually a great time to look at this one, because you can get a jump start for next year!